ONE// Natalie Chang’s Red Heart Paper Coffee Cups. Adore these heart coffee cups, I used them in our Valentine’s Day gift idea. TWO// Delish’s 100+ Brunch Menu Recipes. So many great ideas for hosting brunch. THREE// PMQ for Two’s Brown Sugar and Cinnamon Hot Toddy. Looking for a Jackson Morgan cocktail to keep you warm this weekend? FOUR// Draper Jame’s Thank You Cards. We love a good thank you note. FIVE// Better Home’s Garden Balloon Garland Tutorial. Balloon garlands add a festive touch to any party, but can be expensive, this DIY is very helpful in making your own. ONE// PMQ for Two’s Salted Caramel Cinnamon Coffee. The perfect Jackson Morgan cocktail to serve for brunch this weekend. TWO// The Feed Feed’s Valentine’s Day Cocktail. 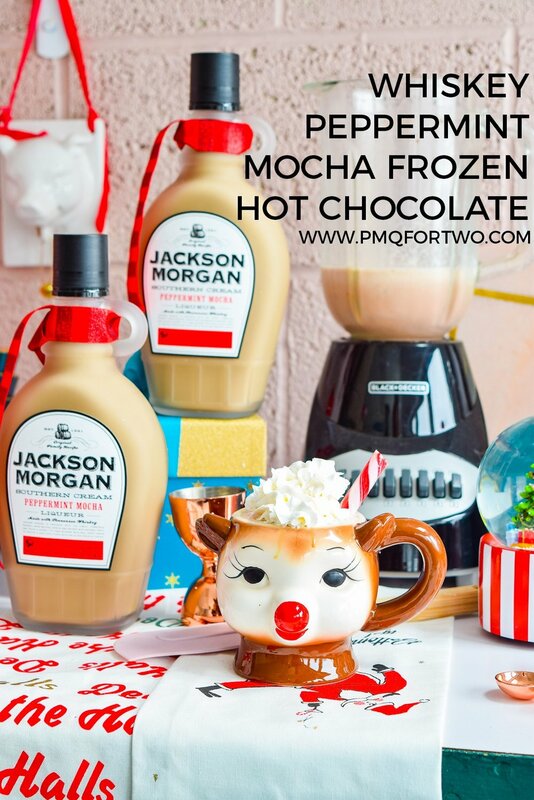 This strawberry and peppermint mocha cocktail made with Jackson Morgan looks delicious. THREE// Pizzazzerie’s DIY Trimmed Cloth Napkins. This easy DIY will jazz up your next dinner party. FOUR// Fashionable Hostess’s Valentine’s Day Flower Tutorial. How pretty would this flower arrangement be for a Valentine’s Day party? FIVE// Kate Spade Heart Midi Dress. A festive dress to wear for Valentine’s Day. ONE// Black Twine Galentine’s Day. 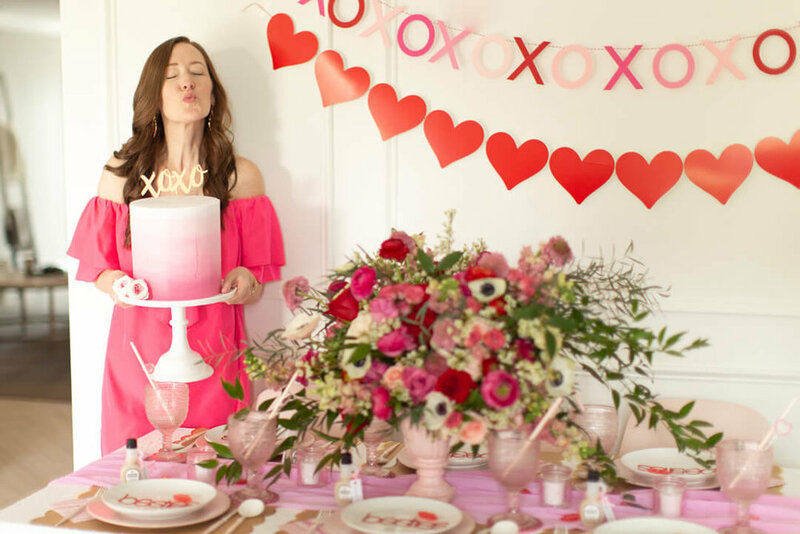 We are thrilled Celebration Stylist’s Galentine’s Day party with Jackson Morgan Southern Cream is featured on Black Twine. TWO// Draper James Red Sweater Dress. A pretty red dress for Valentine’s Day hosting. THREE// Oh Happy Day’s Chocolate Assortments Balloon Backdrop. This DIY balloon wall would be amazing for a Valentine’s Day party. FOUR// Juliska’s Heart Mugs. These mugs would be fun with spiked hot chocolate. FIVE// I’m Bored, Let’s Go’s Candy Cane Jello Shots. This jello shot recipe made with our peppermint mocha cream would be a tasty spin on this recipe. ONE// Juliska Berry and Thread Heart Plates. Grabbed these adorable plates for Valentine’s Day. TWO// Swoozie’s Football Shop. Are you hosting a party for the Super Bowl? THREE// Blahnik Baker’s Cozy Peppermint Mocha Cocktail. This Jackson Morgan cocktail is perfect for chilly nights. FOUR// Macy’s Crystal Cordial Glasses. How adorable would these glasses be to serve Jackson Morgan in? FIVE// Baking Up Yum’s Boozy Jackson Morgan Cupcakes. Diana made apple cinnamon cupcakes with our brown sugar and cinnamon cream. ONE// Mostess Box. We are obsessed with Mostess box after receiving the winter box, it is a subscription service that includes seasonal home items perfect for hosting. TWO// Sugar and Charm’s Waffle Bar. This is a great bar idea for brunch parties, add Jackson Morgan for spiked coffee. THREE// Apartment Therapy’s 10 Beautifully Styled Bar Carts. So much inspiration for our next party from this article. FOUR// Southern Living’s Tailgating Menus & Recipes. We are already making plans for a Super Bowl party. FIVE// Martha Stewart’s Peppermint Hot Chocolate. Planning on spiking this hot chocolate recipe for a weekend cocktail. ONE// Did you catch our New Year’s party on The Sip yesterday? We are obsessed. TWO// Nora Fleming Cheers Sign. This sign be adorable for any NYE parties or year round celebrating. THREE// Sugar and Cloth’s DIY Jumbo Confetti Poppers. How fun would these confetti poppers be for New Years? FOUR// Pizzazzerie’s Salted Caramel Coffee Cocktail. We still love this cocktail made with our salted caramel cream. FIVE// Camilyn Beth’s Holiday Shop. So many great dresses for New Year’s Eve. ONE// Jackson Morgan Fleece Pullovers. 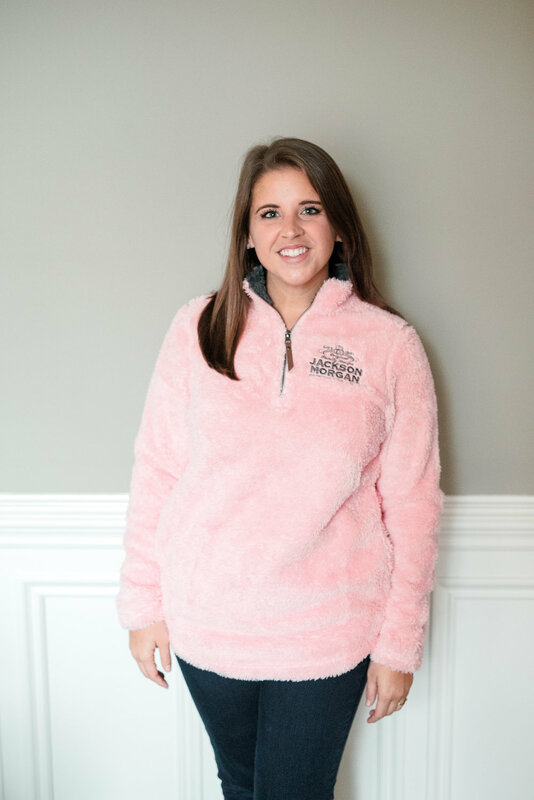 We are obsessed with our new fleece pullovers in the company store. Available in pink or tan. TWO// Inspired by Charm’s Christmas Cocktails. All of these cocktails look delicious, especially the salted caramel White Russian. THREE// Sugar and Charm’s Cookies and Cocktails Party. This party would be fun with Jackson Morgan. FOUR// Natalie Chang’s Christmas Shop. We love the disposable Christmas cups for spiked hot chocolate or coffee. FIVE// Draper Jame’s Cocktail Napkin Set. For last minute hostess gifts, these napkins paired with a bottle of Jackson Morgan would be very festive. ONE// Patricia’s Palace Christmas Party. The cutest Christmas party that included our mini bottles as party favors paired with a monogramed coffee mug. TWO// Country Living’s Christmas Cocktails. So many festive cocktails for Christmas parties. THREE// Jackson Morgan Plaid Throw Blanket. One of our newest arrivals to our company store, this throw blanket is great for Christmas gifts. FOUR// Gimme Some Oven’s White Peppermint Hot Chocolate. This hot chocolate spiked with our peppermint mocha cream would be tasty. FIVE// Pizzazzerie’s DIY Gingerbread House Tutorial. These are the prettiest gingerbread house and easy to make. ONE// PMQ for Two’s Cocktail Lover’s Gift Guide. Our mini bottles were included in Ariel’s cocktail lover’s gift guide. TWO// Waiting on Martha’s Dixie Design Holiday Collection. A festive collection of whimsical gift tags, party invites, and wrapping paper. THREE// Juliska’s Country Estate Collection. 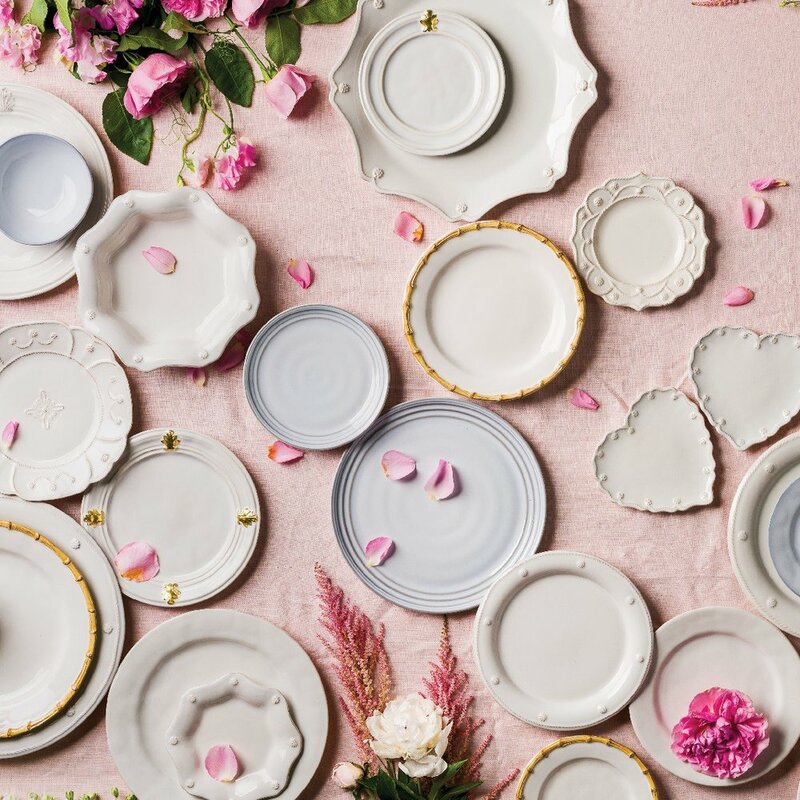 This pretty collection of dinnerware and serveware is fun for holiday parties. FOUR// Concrete Blonde’s Holiday Gift Guide. Our peppermint mocha was included in Rachel’s holiday gift guide. FIVE// Pizzazzerie’s Apple Walnut Cinnamon Rolls. These cinnamon rolls would be delicious spiked with our brown sugar and cinnamon cream. ONE// PMQ for Two’s Upcycled Holiday Bar Cabinet. How fun and colorful is this DIY bar cabinet? Our peppermint mocha is a holiday treat. TWO// Birdies Slippers. The perfect hostess gift, pretty slippers that look like luxe flats to wear during parties. THREE// Williams-Sonoma Hot Chocolate Mix. Our peppermint mocha cream pairs well with this tasty hot chocolate mix. FOUR// Delish’s 30+ Best Winter Cocktails. We will take one of each of these cocktails, please. FIVE// Sugar and Cloth’s Holiday Table Decor and Gift Guide. This is an easy table to recreate this holiday season. ONE// Waiting on Martha’s Thanksgiving Table. Such a pretty table for Thanksgiving. TWO// Foxes Love Lemon’s Brown Sugar and Cinnamon White Russian. This easy cocktail is great for fall hosting. THREE// Living with Landyn’s Thanksgiving Recipe Roundup. Time to start planning our Thanksgiving menu. FOUR// Certified Celebrator’s Easy Thanksgiving Centerpiece. Brittany always has the best ideas for easy tablescapes. FIVE// Swoozie’s “Get You Fat Pants Ready” Cocktail Napkins. We could not think of a better cocktail napkin for Thanksgiving.